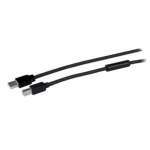 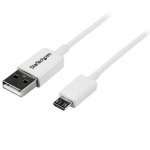 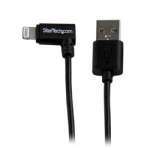 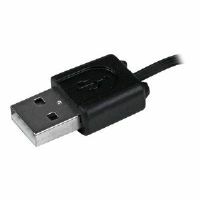 A single USB external hard drive cable that provides power and data. 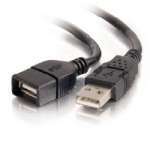 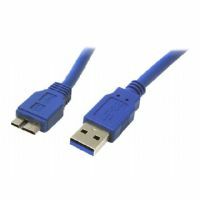 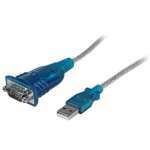 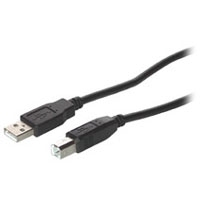 This 1-foot USB A to Micro B Y-Cable provides 2 USB 'A' Male connectors and 1 USB 'micro 'B' Male connector, providing the ideal solution for supporting the additional power required by some Micro USB external hard drives connected to the standard USB ports provided by most computers. 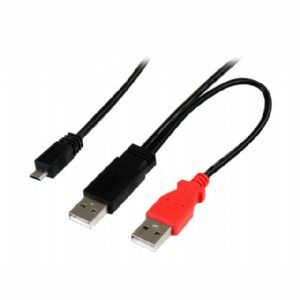 Especially valuable in situations where a single USB 2.0 port may not offer sufficient power to external hard drives, the USB A/Micro B Y-cable can be connected to 2 ports on 1 PC, to increase the power output to the external device. 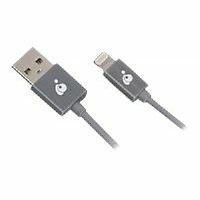 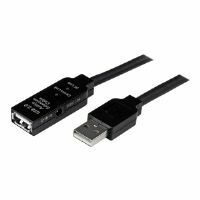 Aside from the additional power provided, this 1-foot cable also offers pure digital data transmission for high speed file transfers.